Street communication is specialized on the design, production and installation of innovative LED screen display indoor and outdoor from Pitch 1.9mm to 12mm outdoor. 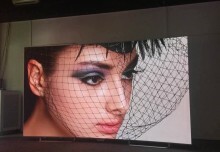 Street Co can design any custom made LED screen with any size and shape. We have a team of structural and LED engineers to come up with all calculation engineering drawings. This project was done for a UK customer who wanted to add a digital original touch to his premises. 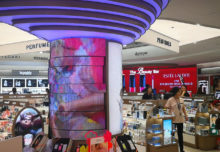 We came up with this S shape LED screen to be integrated within their wall – It gives 3D feel and add to the wall an innovative touch to this curve, flexible LED screen display. a. Design construction plans of the product and solution. Our team of LED product design, designer and engineer will come up with few safe and convenient options based on the structure your team will share with us – That will be shared on commissioning. b. LED modules manufacturing. The modules will be specifically designed and manufactured for the structure. 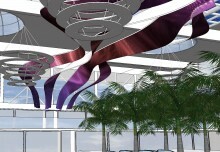 Street Co’ will design a complete bespoke solution to integrate the flexible LED panel into the existing structure. The flexible LED panel will cover the complete housing space allocated for it. For health and safety, screens’ components (Power supplier, cables, receiving cards etc..) will be embedded into the LED cabinet. Street Co’ is a specialist of unconventional LED shape and specifically cylinder and S shapes LED. We have been installing 30+ projects across the world. 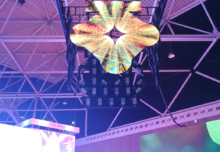 This proposal describes the methodology and costs associated to the product design, manufacture and delivery of a High definition full flexible LED with P1.923, P2.6, and P3.125 SMD LED Screens to be installed. Street Communication will manufacture and design the entire solution system specifically for the structure. Street Co’s team of LED and structural engineers, Designers will come up with Engineering structural drawings, stability calculation, 3D model and execution. All requirements that were discussed in the initial brief have been taken into account including purpose, measurements and planning. 4. Support: Installation will be done by Street Communication’s team of engineers. 5. Free Training: 4 days of free training will be provided for few members of client’s staff for the use of screens. 6. Validity: This quotation is valid 1 months, starting on the date of creation. 7. Guarantee time: We provide 3 full year guarantee with free maintenance, free labour and parts – During this time, we will replace or amend all your goods within 6 working days for free if there is something wrong with the system. We also provide the operation manual, software, test report and so on. Any associated CAD drawing and some other expert suggestion will be provided. 8. We offer an extra 2 years warranty for 20% of the initial cost. 9. Others: After the project, client should clear the balance within 3 days, or Street Communication will charge interests of 0.05% of the total value every day. If you are interested to create an innovative LED curved flexible display screen with LED feel free to fill in the form here and our team will be glad to help.